You can grow this paper! These are sheets that pass quality control. They have imperfections ranging from bad deckles to wavy edges to being slightly discolored. Something that made it not pass our inspection process. We usually use these for set-up or we re-pulp them. 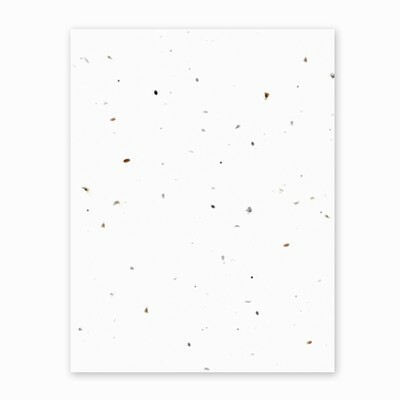 This is the most popular of our handmade plantable Grow-A-Note seed paper as it is the easiest to match with print or accents. This is a natural white paper and, as with all of our papers, no chemicals or bleach are added to this paper.